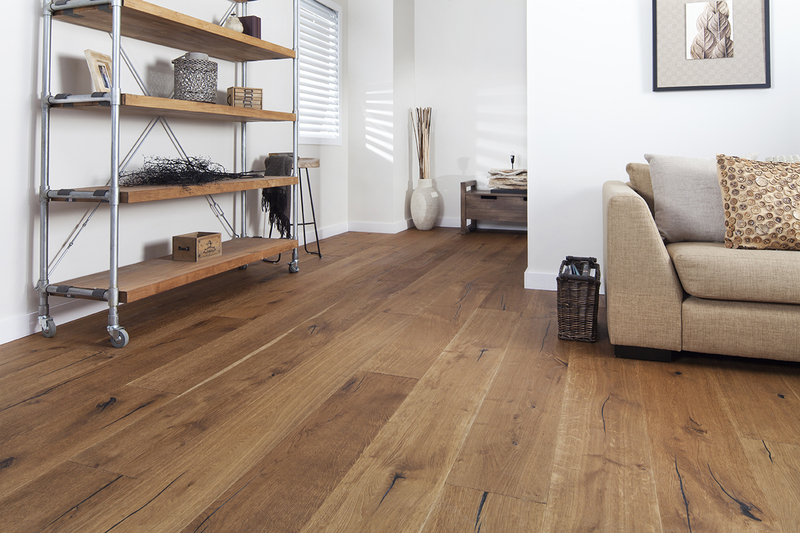 In the last 10 years, the world of engineered (or floating) timber floors has changed considerably. Gone are the floors that sound hollow, look fake and just don't feel like the real deal. These days the choices are endless. Want to maintain an Australian feel? Come and check out our Blackbutt, Spotted Gum, Red Rivers Gums, Scupira, and many more. Want a sustainable, cost effective, versatile floor? View the ranges of bamboo available in many colours and board widths. Finally, want to replicate the classic charm of oak flooring? Available in every imaginable colour, finish and board widths, there has been no better time to look at oak with all the options available. Oak exudes classic, European sophistication. Spotted Gum, Jarrah, Blackbutt. Just a few of the Australian hardwood ranges available in Engineered form. Bamboo: Sustainable, extremely hard wearing and natural. What is the difference between solid hardwood flooring and engineered (floating) floors? Solid hardwood timber requires extensive preparation on the sub floor prior to the installation, sanding and polishing. Hardwood timber floors are solid throughout and installed in a raw finish which then needs to be sanded, stained and polished. Engineered floors comprise of a real timber "face" (thickness can vary from 0.6mm to 6mm) over specially selected layers of other timbers (normally rubberwood or HDF). The boards are engineered to be structurally sound so there will be no occurrence of cupping or bowing. To lay engineered flooring, some preparation work is required as the sub floor needs to be consistently level. 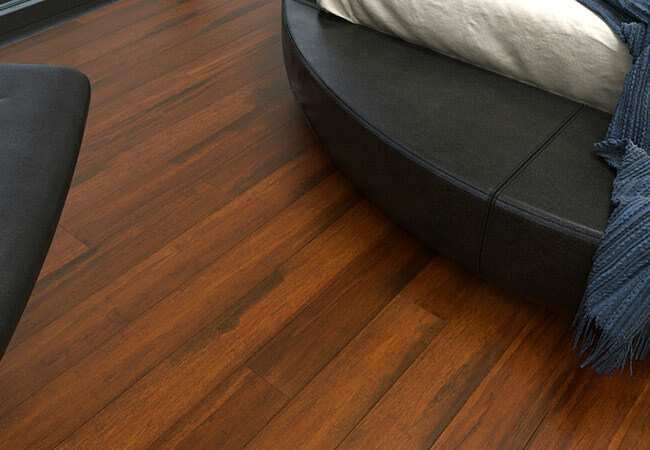 Engineered flooring can be installed as floating or glued. Engineered timber should not be confused with laminate flooring. Can floating floors be sanded and re-stained? 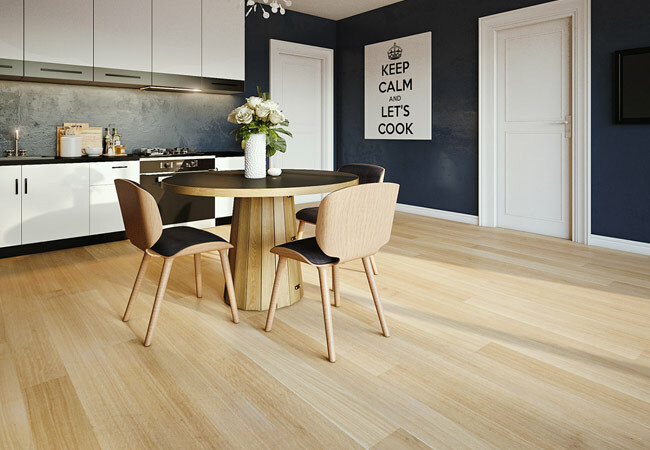 Yes, most floating floors on the Australian market have a layer of hardwood that is approximately 3mm thick which over the floors lifetime, can be sanded back 3-4 times. Keep in mind, that once sanded, you will have to try and match the stain from the original timber. The beauty of certain ranges of floating floors colours and finishes (smoked, white washed, oiled, etc) would be very hard to recreate in your home. We only recommend sanding your flooring in exceptional circumstances. Floating floors also have considerable amounts of finishes applied to them (up to 9 coats) creating a hardwearing, UV protected surface. Again, this would be difficult to replicate.